Ealing Council are to install a potentially life-saving cyclist protection system on all its large goods vehicles (LGVs) after trials showed in improvement in driving standards. 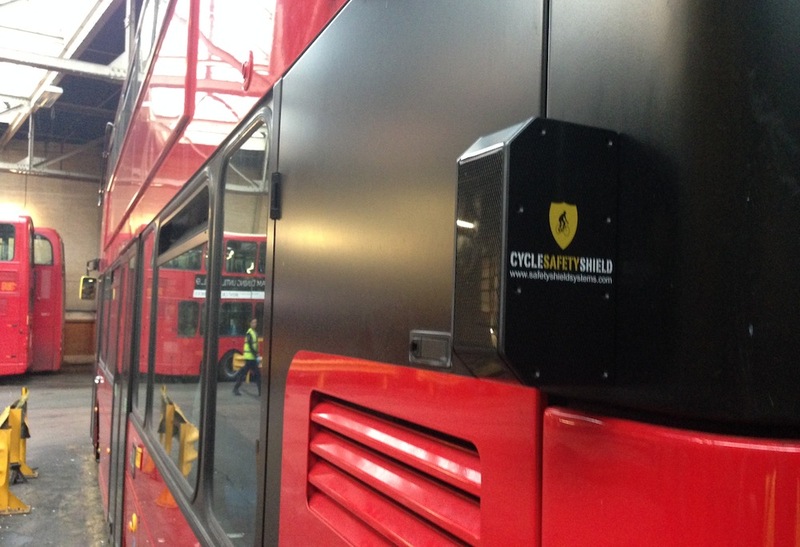 The Cycle Safety Shield device alerts drivers to the presence of cyclists and pedestrians by way of audio and visual alerts and has been trialled on London buses in 2014. Ealing also ran trials of the system in 2013 and results showed that driver behaviour improved by 20 per cent, which saved the council £1,000 per vehicle on fuel consumption. The Cycle Safety Shield has been nominated for three London Transport Awards and is being trialled America, Spain, Australia, Denmark and Singapore. Charlie Lloyd from the London Cycling Campaign, said “There have been another three tragic cyclist fatalities involving large lorries in London in the past few weeks. Preventing more deaths from these lorries is almost always the greatest concern for people cycling in London.